​Many homeowners don’t know exactly what to do when it’s time for a garage door spring repair. It can be difficult to decide if you should take on the project yourself, or if it’s best to call a professional. Here's a guideline that will help you understand some basics before assessing your next step to garage door spring repair. 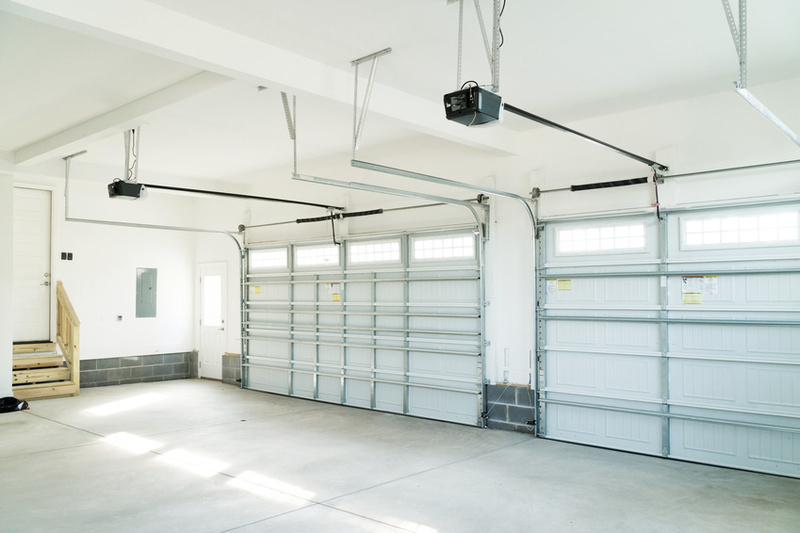 There are two major types of garage door springs: extension springs and torsion springs. Extension springs are the most common for homeowners. To support the door, these springs extend with a force that allows the door to open. Doors with extension springs need to be paired with safety cables to ensure safety in the event of a broken spring or bottom bracket failure. Torsion springs, however, are springs that exert a force or torque when they are twisted. The garage door raises when that force is applied. Torsion springs last roughly 15,000 to 20,000 cycles, while extension springs will last as much as 10,000 cycles. Garage door spring repair can be a big task to take on if you’re not sure what you’re dealing with. In that case, it helps to familiarize yourself with some common garage door spring repair scenarios. An excessively loud or squeaky door might have worn down springs. An application of lubricant might be all you need to silence the squeakiness, but if loud noises continue you might need to replace the springs altogether. Difficulties in opening and closing your garage door might point to a spring imbalance. If that's the case, consider contracting with a professional to refit your springs. Garage owners with extension springs should be extra cautious when it comes to safety cables. A damaged safety cable means that the door could fall on someone if a spring breaks. If you suspect that one of your safety cables is broken, call a professional right away. Broken springs should be replaced immediately. An especially knowledgeable homeowner might be able to tackle the problem herself, but garage door spring repair is best left to professionals. Working with a contractor for your garage door spring repair is especially important if you have torsion springs, as these are under constant tension, thus increasing the risk for injury. This tension can be controlled by unwinding the spring with a pair of metal winding rods, but the spring is dangerous until it is unwound completely. In some cases, homeowners might not even be able to buy torsion springs on their own, as independent installation can be a huge liability. Overall, you should leave garage door spring repair to the pros. While hiring a professional might cost some extra money, it will cost a lot less than making a mistake and damaging your garage door or hurting yourself. How much does garage door spring repair cost? Garage door spring repair or replacement is often relatively affordable. The springs themselves typically cost around $20-$35. Professional work can cost anywhere between $100 and $400, though garage door spring repair typically costs about $250, depending on how much work your door needs. The price tends to get higher with replacements because you’re paying for both parts and labor. Take these tips into consideration and stay up to date in maintaining your garage door so that it’s safe and easy to use. For help with your garage door spring repairs, contact a professional through our helpful database today.